Oranges!!!! Just the smell makes me happy inside because it brings so many great memories that flood my mind. It screams summer, Disneyland and spending time as a family. I know, it’s pretty crazy that one smell can cause so many emotions but it’s true! I know, I have been pushing Summer this week but I’m so excited! 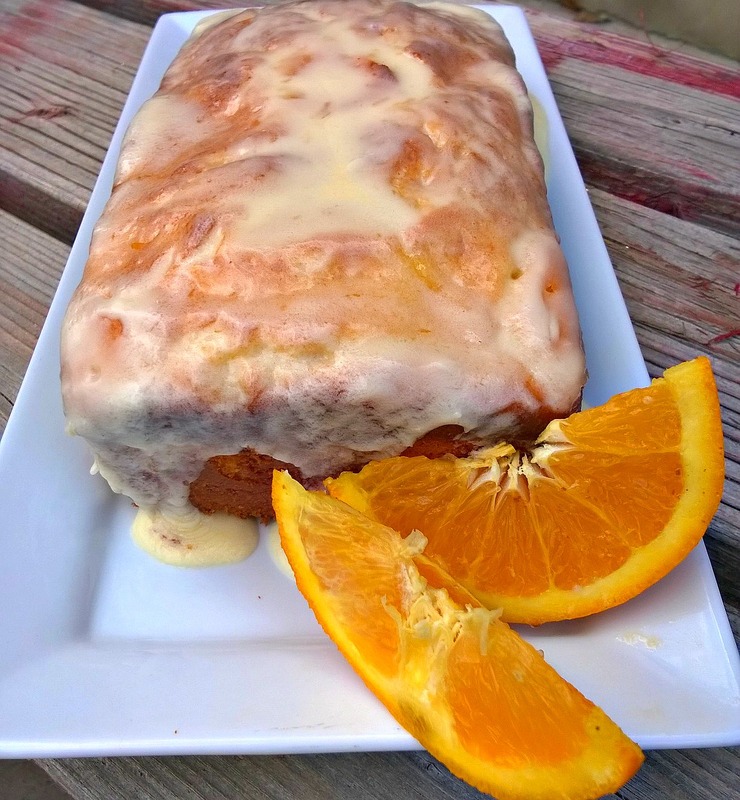 Last month, I made the Orange Skinny Poke Cake and ever since then I have been in the mood for orange recipes. I was so pleasantly surprised by this one. The bread is so light and fluffy that it almost melts in your mouth, and the flavor smacks you in the face and let’s you know that it’s going to be a great day! You know you need to make this one! Preheat oven to 350 degrees. Grease and flour 2 9 x 4 inch loaf pans. In a large bowl, cream together the oil, butter, eggs, milk, sugar, orange juice, and vanilla. Add the flour, salt, and baking powder and mix well. In a separate bowl, combine the cream cheese, powdered sugar, eggs, and flour. Spoon in 1/2 of the cream cheese filling onto the top of each loaf pan. Swirl the cream cheese filling by using a butter knife. Pour equal amounts of the remaining batter onto the tops of each loaf pan. Bake for 50 minutes or until the toothpick comes out clean. Frosting: Cream the butter in a medium bowl. Add the powdered sugar, orange juice, and heavy cream. Beat until light and fluffy. Let bread cool in pans for about 10 minutes and then remove them from the pans. Let cool completely and then frost the tops of the loaves. My husband & I run a bakery out of our home and make several quick breads. This looks awesome! this looks so yummy! I love oranges too. 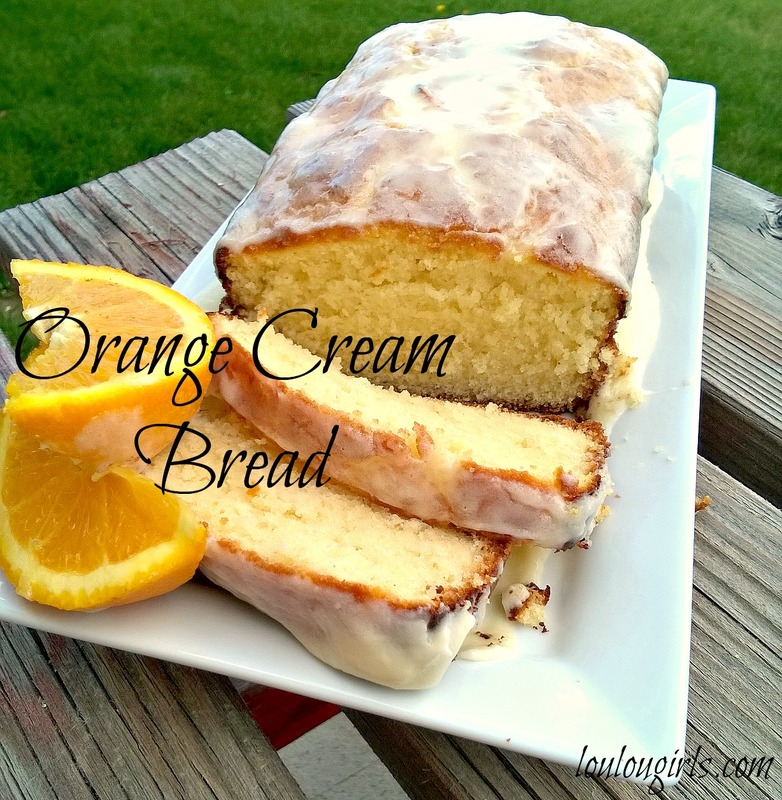 Since we have orange trees, I am always looking for recipes to use them. This is a winner. Kimberly, this looks delicious! Can't wait to try. Wonderful recipe! Pinning to try later. Love the cream cheese filling! Thank you for being a part of the Hearth and Soul Hop.